This is a powerful social tool used by almost all social media managers regularly. Hoot Suit offers a dashboard which enables managers to maintain multiple profiles from various social media websites. The unique dashboard integrates third party applications and other tools to extend their services. You can manage personal profiles, fan pages, and social media groups using this tool. Hoot Suit enables you to share administrative powers with others as well. On the whole, this social media tool works as an automatic social media manager. The free version of this tool enables you to add up to five profiles for free, and you need to pay a nominal fee if you want to add more profiles. Social Oomph is an indispensable tool for businesses that use a twitter account for social media marketing. The tool enables you to schedule tweets and automate the whole process of tweeting to your target customers. Businesses which have thousands of followers to their twitter accounts can use this tool as a outbound customer manager. Important business news can be scheduled to be distributed online using Social Oomph. An important advantage in making Facebook a part of your social media marketing campaign is that it offers a lot of page insights and analytic data for marketers. But marketers may need more information and details to work with as the details that are offered by Facebook may not be sufficient to plan their marketing strategies effectively. Pagelever for Facebook fills the gap by providing powerful insights and detailed analytic data for the Facebook fan pages of businesses. Pagelever has lot of pre designed data-driven tools which can help businesses and brands to optimize their presence on Facebook. Buffer helps marketers in connecting Facebook and Twitter. Marketers can pre-schedule their posts and updates using this tool and save their time efficiently. Buffer is also a great place to explore the automated update technology of Facebook and Twitter. The social media manager feature of this tool helps in connecting Facebook and Twitter and improve the SEM strategy of marketers. Google Alerts is one of the best available alert systems on the internet. This tool enables businesses to learn about all the latest happenings related to their businesses through a mail straight from the search engine giant, Google. Marketers can set alarms for specific niches and get notified about the happenings on a weekly or daily basis depending upon their preferences. The best thing about Google Alerts is that it is totally free. TweetDeck is another important social media tool for managing Twitter accounts. This tool has become so popular that it is not acquired and managed by Twitter itself. TweetDeck allows you to organize feedbacks to customers, pre-schedule tweets, keep an eye on the statistics, get updates of your Twitter followers, and notified when something of importance happens on Twitter. 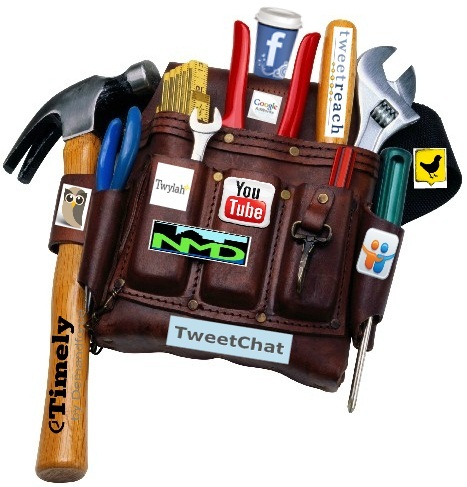 Digsby is an advanced tool for social media marketing. Apart from letting you to connect the leading profiles of your business, this tool also allows you to chat with your social clients through an advanced chatting interface. Marketers can talk with followers and fans from multiple social networks. This tool gives an amazing chatting experience through both desktop and smartphone applications. Engagio helps marketers in managing all their online conversations at one single place. This tool is like an inbox for all the conversations that marketers make on the web. Engagio enables marketers with all the functionality to manage, support, and encourage conversations efficiently. The tool can track all your conversations on the web and your friend’s (fans or followers) conversations on the web. Users of this tool can also track any conversations in which they are interested through its search feature. Social media marketing is all about maintaining relationships with your fans and followers on different social media websites. The above tools will when utilized properly will help in maintaining these relationships well. Brianne is a writer/blogger. She loves writing travelling and reading books. She contributes in Bret Clark Microsoft. Thanks for the list! I’ve hears of most of them, but just checked out Engag.io — looks like a great tool we could use for some of our clients.